The Queensland Brain Institute (QBI) was established as a research institute of the University of Queensland in 2003. The Institute is now operating out of a new state-of-the-art facility and houses 28 Principal Investigators with strong international reputations. 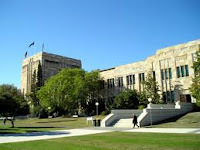 The Institute is located at the University of Queensland, a Group of 8 (Go8) member. Become a research higher degree student (PhD, Masters) or occupational trainee (research project towards a degree) at the QBI and be part of the start-up phase of an exciting new second-generation sequencing research centre that embarks on trailblazing research projects identifying the genetic and epigenetic mechanisms of brain function and brain related diseases. You will be able to take ownership of research projects taking your results to publication and be part of an efficient team to develop tools for different sequencing applications (exom capture, RNA-seq, CHiP-seq). 1. Bachelor’s degree (or equivalent) in Bioinformatics, Computer Science, Information technology or related field. 6. In-depth knowledge of Unix and Unix-scripting. REMUNERATION: UQ offers competitive scholarship options. Demikianlah informasi PHD and Master Scholarships in Neuroscience-Occupational Trainees-Genome Sequencing Research kami sampaikan, semoga bermanfaat.